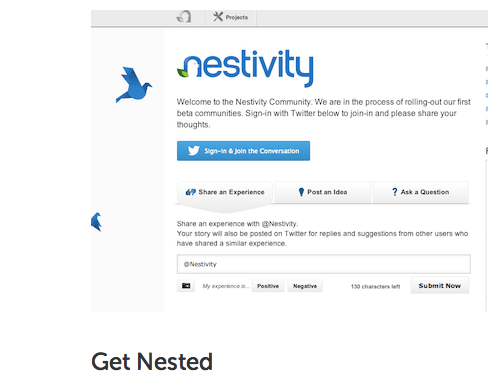 Nestivity’s Tweetcast To Aid Brands In Managing Their Twitter Engagement. Attention brands, do you often find it hard to track conversations around your brand due to tweets having a very small shelf life? Also, is it difficult, nay impossible to collate all the feedback you receive, even though hashtags have made this somewhat easy? Then you should consider Nestivity. 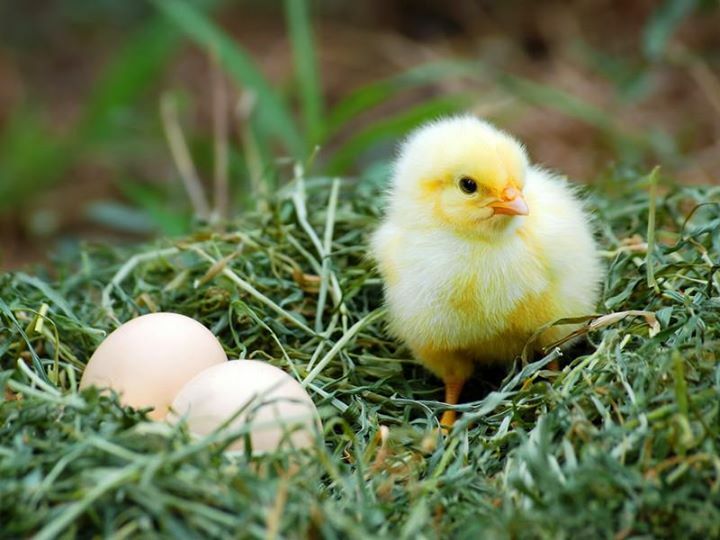 According to Nestivity.com, Nestivity turns your twitter handle into a “Nest”, a place for you to connect with your followers in a more organized and structured way. It allows you to enhance your Twitter strategy in a number of ways. For one, you can streamline your inbound Tweets. With inbound comments organized into categories, it’s easier than ever to find and respond to incoming tweets. Also, you are able to move beyond a single feed. Nestivity’s Projects & Discussions allow you to conduct multiple conversations at once in a on-going and organized way. Something else to note, is that you can control real-time conversations on Twitter. You are able to guide your followers through real-time chats accompanied by Images, Videos, Polls, Presentations, Documents, and live streaming content. Exciting isn’t it? 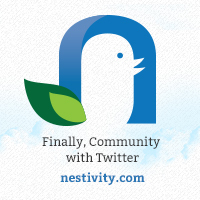 More perks of Nestivity include, incoming tweets in your community being categorized, sortable, and searchable. This increases effectiveness and efficiency. Nestivity allows you to connect with your followers in structured conversations organized around the topics you choose. Your Nest’s information is echoed, and can be shared across other social networks, allowing anyone to find your content and join the conversation. As more content is found, more tweets are shared, turning your followers into a rapidly growing set of advisors and advocates. Lastly, All mentions and tweets from your Twitter account are securely stored, so you can extend the shelf-life of your conversation threads. Your listening and analytics tools can also be used for a deeper understanding of your community. Currently, Nestivity is free for one moderator. That comes with sixty days of communication history. To upgrade to more moderators and more time, these are the prices. Two moderators, and ninety days worth of communication history will cost you 1,660 shillings a month. For four moderators and six months of communication history, it will cost you 4,220 shillings. Lastly for 15 moderators, and one year’s worth of communication history, it will cost you around 17,200 shilings a month. The amount is payable in dollars of-course, so it is always advisable to open a paypal account and have an international debit card authorized to conduct online transactions.